Many of us have been taught that what we need in order to create or maintain true health are a particular amount of specific minerals or vitamins or other isolated nutritional compounds. This advice is an outgrowth of the antiquated megavitamin era that is still being taught and practiced in many circles today. While that era was helpful in that it made us aware of the value of some of the various components that are found within plants, foods and other natural recourses, we are rapidly moving toward an era of a deeper understanding of how Mother Nature originally provided for us long before allopathic medicine and the megavitamin age were given the spotlight. A major New Zealand study found that taking calcium supplements raises your risk for heart attacks, strokes, and sudden death, and does nothing noteworthy for osteoporosis. The researchers randomly assigned 1,471 postmenopausal women to take a placebo or 1,000 mg of calcium citrate daily for five years. The study actually expected to find that calcium supplements would reduce osteoporosis along with heart attacks and strokes. However, they found that those taking calcium had a 40% higher risk of heart attacks along with a greater risk for the composite of cardiovascular incidence, stroke and sudden death than the placebo group – and did nothing for osteoporosis that would justify these greater risks. How can this be? We have been taught since the days of Adelle Davis that megavitamin therapy is the way to go. Yet I hear almost daily from people who have spent thousands upon thousands of dollars for many years — even decades — on what I call “fragmentary health products” (only fragments of Nature’s whole food resources), recommended by some of the best Naturopaths, Acupuncturists, Chiropractors, Nutritional Consultants, and product manufacturers, yet these earnest souls remain sick, battling with an ongoing series of hormonal, nutritional, toxicity and yeast imbalances. You see, vitamins, minerals and other nutrients that are only fragments of their original whole food source are inherently imbalanced. They do not contain all of the other nutritional components that Nature knew were necessary to function properly in the human body. Fragments of whole foods do not function in the body the same as the original whole food itself. The cultures of today which still live in a more natural habitat, such as the Hunzas, the Okinawans, and the aboriginal tribes of Australia, maintain their vitality long into their late 80’s, 90’s and hundreds, partly because they live close to Nature, and partly because they grow their own food, or eat from the wild. Those cultures do not need megavitamins because they get all of their nutritional requirements from whole herbs, cultured foods, mineral-rich water sources, and foods grown on mineral-rich soils from crops watered with mineral-rich water. So what is it about these original food sources that give these exceptional cultures their health and longevity even late in life? For one, whole foods, fresh herbs and unheated clays are nutritionally balanced. Nature made them this way for our benefit☺. In truth, it is not nutritional abundance that counts, but nutritional balance that brings health to the human body. The megavitamin philosophy attempts to create a semblance of balance by suggesting half as much magnesium as calcium (while others reverse that ratio), then goes on to say that if you take some vitamin D with it, it will assimilate even better. But, in the same breath, do they clue you in to the other minerals that influence, or are influenced by, calcium and magnesium? For instance, calcium activity in the body is influenced by, not just magnesium, but phosphorous, chromium, iron, sulfur, fluoride, zinc, manganese and copper. Iron activity in the body is influenced by aluminum, copper, manganese, iodine, zinc, phosphorous, and cobalt, in addition to calcium and magnesium. Phosphorus activity is influenced by iron, sodium, beryllium, aluminum, copper, manganese, molybdenum, zinc, as well as calcium and magnesium. Copper activity is influenced by silver, cadmium, iron, phosphorous, sulfur, molybdenum, potassium, mercury, zinc, as well as calcium and magnesium. Magnesium is involved in over 300 metabolic processes in the body, yet is suppressed by the abundance of calcium. Due to these delicate balancing relationships between all of the minerals naturally found in (whole foods and herbs, earthen resources like clays, Humic substances, and original sea salt), by feeding our body an unnatural abundance of one or two isolated minerals can indirectly initiate a chain reaction of detrimental effects on the usability of many other minerals and hundreds of metabolic functions throughout the body. Too much of any one mineral can throw off the availability, or workability, of several other minerals, because the entire list of 70+ minerals are interrelated, talk about a big family! Sometimes they work for each other and sometimes they work against each other. They function as both antagonists and protagonists within their own group — the Mineral Kingdom. This entire interrelationship is based on ratios. Too much calcium cancels out magnesium. Too much magnesium can result in difficulty breathing, excessively low blood pressure and an irregular heartbeat. What counts in the Mineral Kingdom is not a mineral abundance, but a mineral balance of ratios. Minerals are the building blocks of hormones, vitamins, enzymes and amino acids. They are the building blocks of the DNA itself. Minerals, of a wide variety, are required for virtually every metabolic function in the body. Do we dare consume less than the most comprehensive spectrum of mineral and nutritional complexes that Nature can provide? Do we dare alter the delicate balance of mineral and nutritional ratios that only Nature, at this point, knows how to assemble? Which will it be? Lab designed megavitamin & mineral formulas or nature’s comprehensive blends of whole earthen substances? Can a lab concocted assortment of 2-60 isolated minerals and vitamins, put together by the best minds of medicine, bring about the same kind of balance in the human body as a full 70+ mineral complex plus hundreds, even thousands, of phytonutrient compounds, assembled and balanced by the source of the body itself – the earth? When you consume ginger, you get 477 known nutritional compounds (the most studied plant on earth). When you consume yerba mate’ (a South American herb) you get 197 known nutritional compounds. When you consume an organic apple you get over 10,000 nutritional compounds. When you consume a clay, you get numerous mineral compounds and other life-building qualities in the form of macro minerals, trace minerals, angstrom (single atom) elements, electromagnetic and paramagnetic influences, isotopes, rare earths, humates, detoxification powers, and a host of other benefits that science is only now just beginning to comprehend. Yet these benefits have been there for hundreds of thousands of years. We are just now waking up to them!! What has Mother Nature done that laboratories full of great minds are not capable of doing? She has put together an amazing array of nutritional benefits that range from the simple mineral and vitamin, to the complex molecular compounds (phytonutrients) that are specific to various plants, to the friendly bacteria that assist in their digestion, to the electromagnetic and paramagnetic forces, to the etheric qualities, and many other attributes that science has only vague ideas about, or has yet to discover. The wisest thing that science can do today is to just observe the healing powers of a natural plant, sea vegetable or clay in their raw, unaltered forms, and learn from them, then simply use them in their whole forms (if they want the same remarkable benefits that raw Nature provides). Feeding ourselves only a small fragment (like just two minerals) of Nature’s extremely complex array of nourishing influences, is simply setting the stage for further imbalances down the road (as is borne out by the massive failure of today’s “fragmentary nutrition” to bring overall health to the human body). Since disease is the sign of an inherent imbalance, what is the most effective route to restoring balance in the human body? Is it really possible to create balance in the human body, (an organic and complex biological organism), with substances that are disconnected from their original organic, wholesome and balanced source? It is time that we reconsider our societal fetish for the isolates, concentrates and synthetics of “fragmentary medicine”. 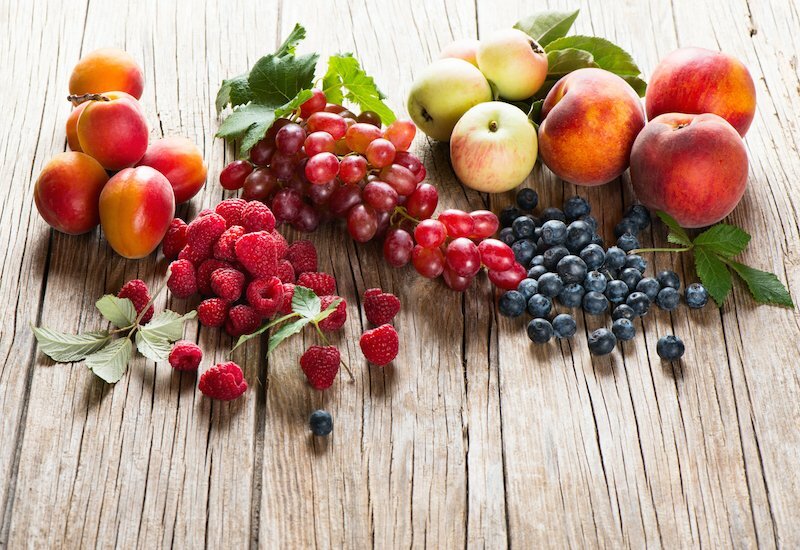 No one knows how to create balanced nutrition for the human body better than Mother Nature. Why mess with a good thing? Restoring balance and health to the body is much simpler than it seems. The work has already been done for us. The resources are abundantly available. The human body is perfectly capable of healing itself when given the wholesome resources provided to us by Nature. 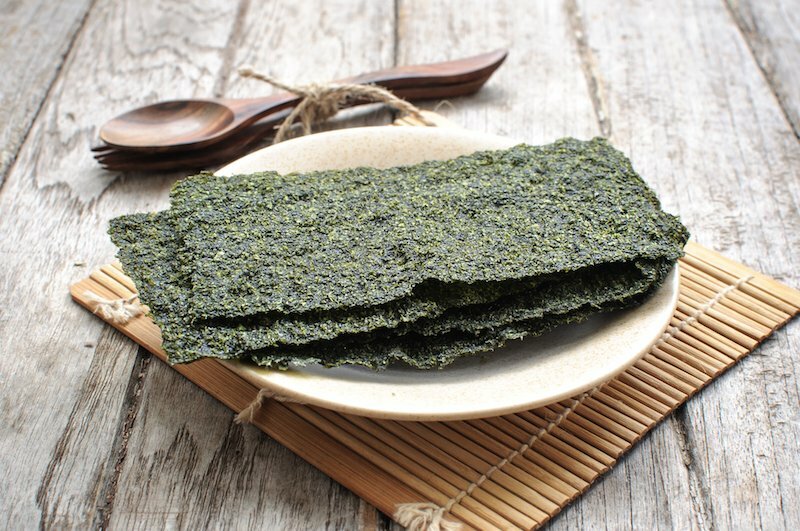 If it is a good source of calcium and magnesium in a proper balance that you seek, consider seaweeds, one the richest sources of magnesium known, balanced by hundreds of other minerals and phytonutrients, including calcium. Or try our “Clearly You” beverage blend, a magnesium rich source of fossilized plant matter combined with Himalayan Salt and Humic Substances – all of which are naturally balanced earthen resources. If it is D that you seek, spend more time with your face to the sun, even if it is a cloudy day, and notice how nourishing it feels (goes right to the gut). Of course, common sense says to also consider what else might be contributing to the deterioration of other health abnormality in the body, and correct that as well – two of the most obvious being the consumption of sugars and other acid-promoting or fungus-promoting foods and drinks – with pastries, breads, coffee, oils, and yes, nuts and nut butters being among the worst offenders in our society today. Yet an abundance of a good, mineral-rich seaweed blend (minimum of 1 ounce per day) can go a long way toward balancing out even these health-deteriorating substances and restoring the pH back to the ideal, slightly alkaline level. A good blend of seaweeds, algae and other superfoods will nourish not only the bones, the blood, and the heart, but the entire hormonal, nervous and digestive systems as well. They provide a massive array of building blocks for every metabolic function in the body — bar none. “Fragmentary Medicine” or Whole Foods, Which will You Choose? Chemical allopathic medicine and megavitamin therapy have been developing their “medicines” now for less than 200 years, with their “most advanced” approaches being developed within the last 50 years or so. Mother Nature has been at the business of developing health products now for over 5 billion years! She has more experience and her resources are not only more comprehensive, but more compatible for the human body. She has earned our trust. Whole seaweeds, algae, phytoplankton, sea salt, herbs, medicinal mushrooms, clays, Humic/Fulvic substances, bee products, cultured & natural whole foods, deep, underground aquifer water, sunlight, highly ionized evergreen forest air, chi gong type exercises, and self-grown garden produce are the most effective healing resources known for the human body. They abundantly provide the balanced nutrition and energetic support it needs to simply heal itself. Rest assured- Mother Nature has not abandoned us! There really is an answer — and the answers are simpler than we may have thought. If we are looking for something to improve the health of the human body, natural whole foods are more likely to provide us with the balanced health-building qualities that we seek. The wise among us will reach first for whole food nutrition before trying anything else!